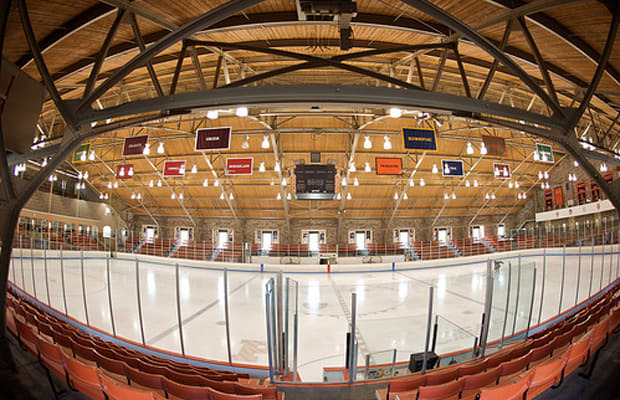 Baker Rink earns a spot on our list thanks to it’s rich history and classic style. It’s the oldest NCAA arena devoted solely to hockey still in use. The curved steel trestle ceiling, brick exterior building and Tiger orange bleacher seating provide a historical hockey experience. Improvements like a scoreboard, better lighting and locker rooms were made over time but the architecture remains an ode to traditional hockey barns of eras past before helmets and professional contracts.